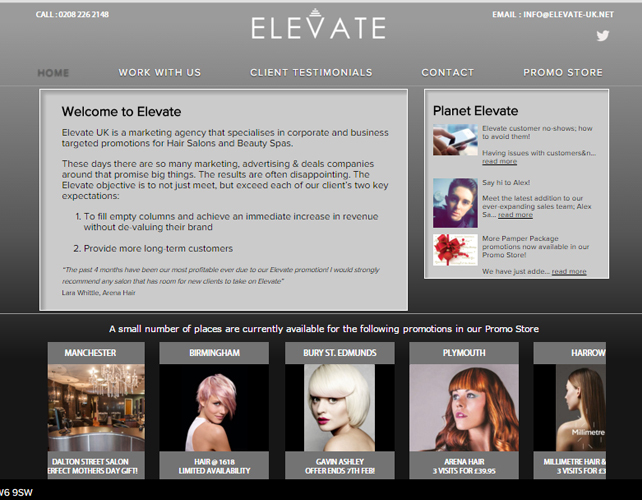 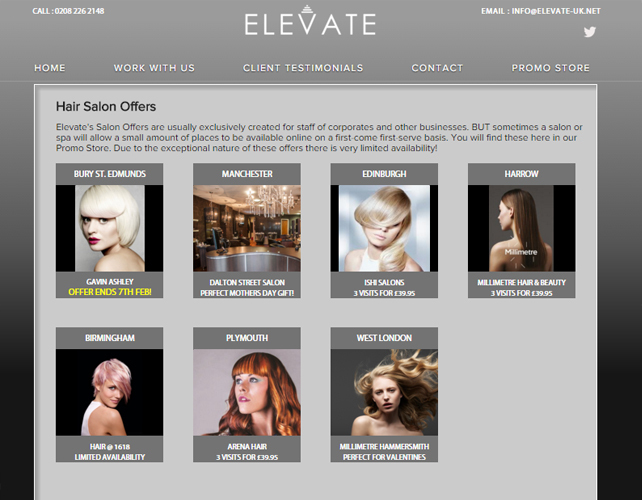 Elevate is a marketing agency that specializes in corporate and business targeted promotions for hair salons and beauty spas. 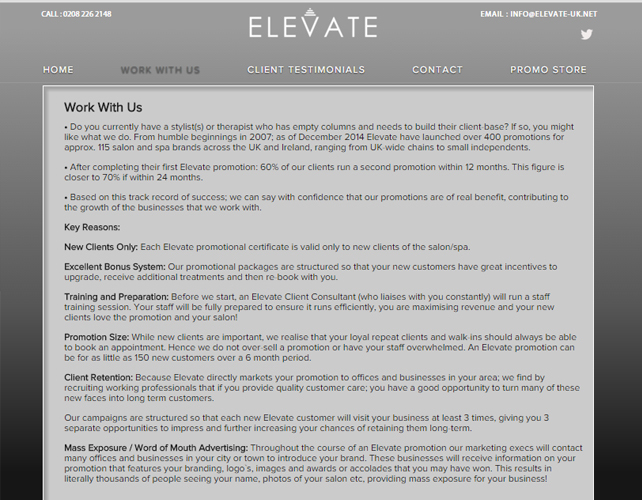 They help each and every beauty salon grow by providing them a new set of clients hence increasing their revenues. 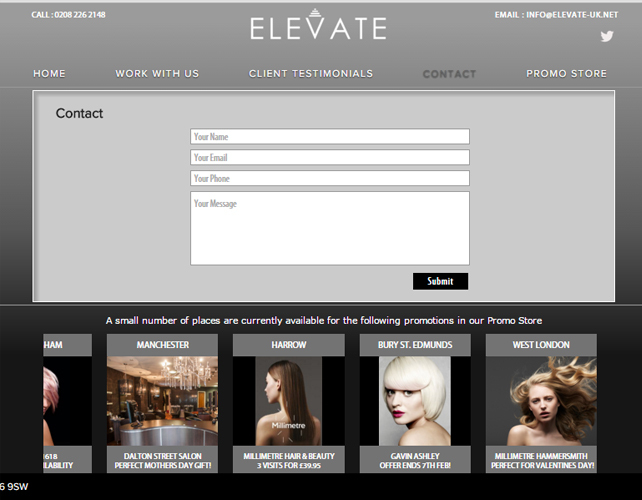 Elevate promotes the USPs of each and every salon they work with in such a way that the customers can learn about the particular services offered by the salon in advance before they step into the beauty parlour. 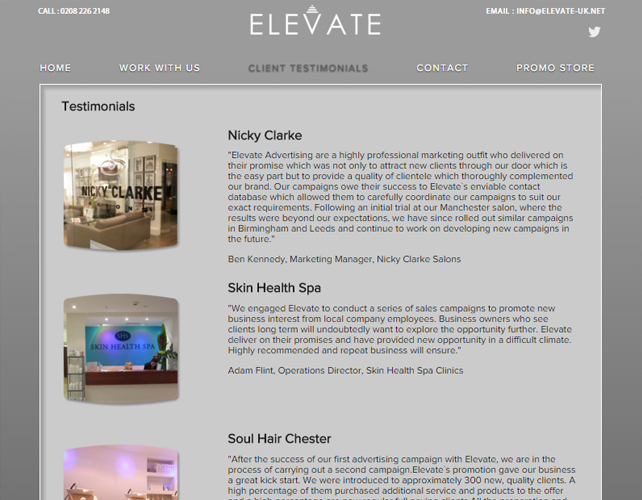 If you want to promote you beauty salon business, then Elevate is just the right place for you to get yourself attached to.